Modified Acapulco camper built by Jason Moore of Washington who says "Your plans were easy to follow and I would highly recommend them to a person looking for a fun, gratifying project." 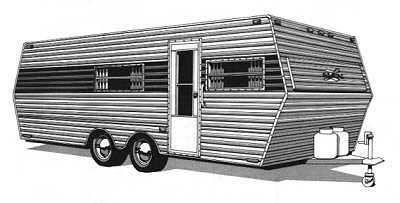 Welcome to our on-line catalog of camper and travel trailer plans and patterns. 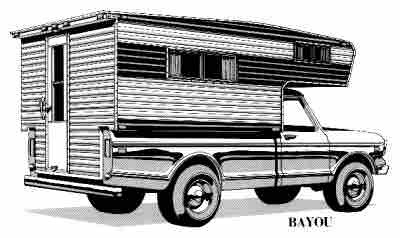 You may notice that the line drawings of our various RV plans look dated and indeed they are. 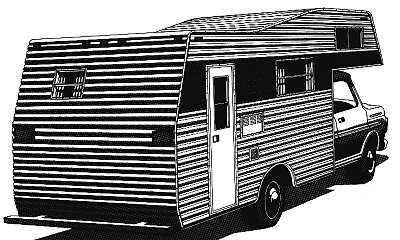 All of our RV’s were designed in the 1970’s and the finishing touches such as windows and skin were up-to-date at that time. 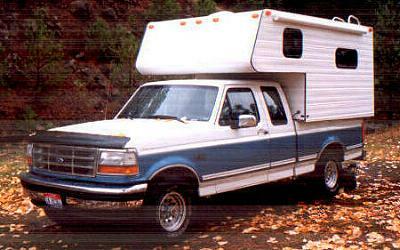 Your finished RV will look updated when current materials are used. The building techniques and information in the plans and patterns is timeless and very thorough as are all Glen-L plans. If you would like to get an idea of what your project might cost, see out Cost Estimating pages. We do not sell components, but in response to many inquiries we have added these pages. If there are items that you would like to install in your RV that are not listed, please refer to our Suppliers & Links page. To see photos of customer built Glen-L RV’s, see our Customer Photos page. For those who would like to communicate with other builders, a Glen-L RV Forum has been added to the “Odds and Ends” section of the Glen-L Boatbuilder Forum.